“The journey to elections 2019 starts now,” said Dr Samuel Joseph shortly after results showed he’d won the January 30, 2017 by-election. Joseph who had the backing of the Movement for Change and Prosperity (MCAP) started out in the lead once counting began shortly before 8PM on Monday, evening and remained there. By the final count at 9:20PM, his closest rival was Emile Duberry on the People’s Democratic Movement (PDM) ticket, who was still 310 votes behind Joseph’s 679. Commenting during the ZJB Radio’s live coverage panel members Eugene Skerritt, Peter J. White and Herman Francis agreed that party support was an important factor in both Joseph and Duberry garnering the largest number of votes. White said he felt Wade would have had a similar result if he’d been the chosen MCAP representative. Dr Samuel Joseph holds a PhD in Physics and his smarts was a bone of contention by others running for the empty opposition seat. 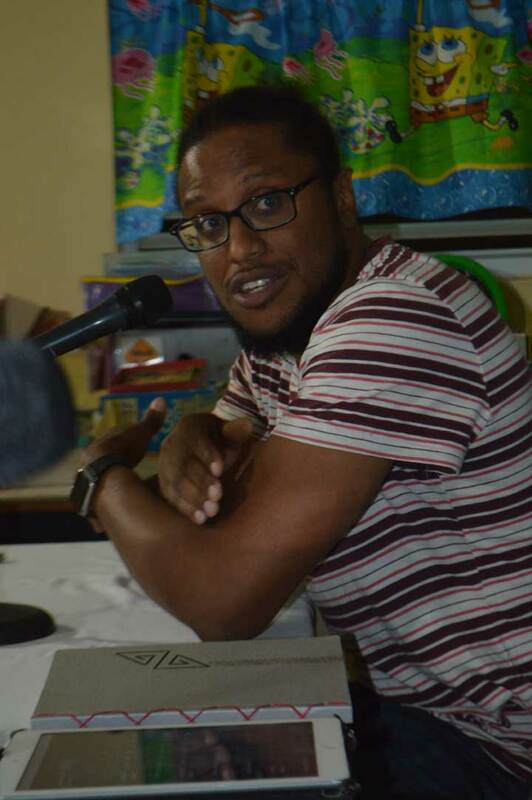 Joseph, who has taught at both the Montserrat Community College and the Montserrat Secondary School said protection of children and improving the island’s education system remains top priorities for him on a personal and professional level. He expressed thanks to his wife Crystal and his parents for supporting him during the campaign. Joseph also thanked the other candidates for running as this he said, provided the needed pressure to keep going. “I am excited and its an overwhelming feeling. People wanted change and a move away from the divisiveness” that has entered the local political scene, he said on air. He encouraged other aspiring politicians to choose a cause and work for the good of the people of Montserrat. Montserrat has a registered voter list of 3866 but only 1611 turned out to vote. The updating of the registry was a subject of discussion early in the campaign, however it was made clear by the Electoral Commission that the law only allows for this to be done every five years ahead of the general election. Low voting numbers was also attributed to many non-nationals staying away from the polls as a statement about the lack of attention paid to them by the politicians after their votes are cast. Non-nationals were seen as the deciding factor in PDM’s landslide win in 2014. In the final tally 1592 votes were counted and another 19 were discarded as spoilt ballots. You’ve shown democracy at work in the absence of violence. 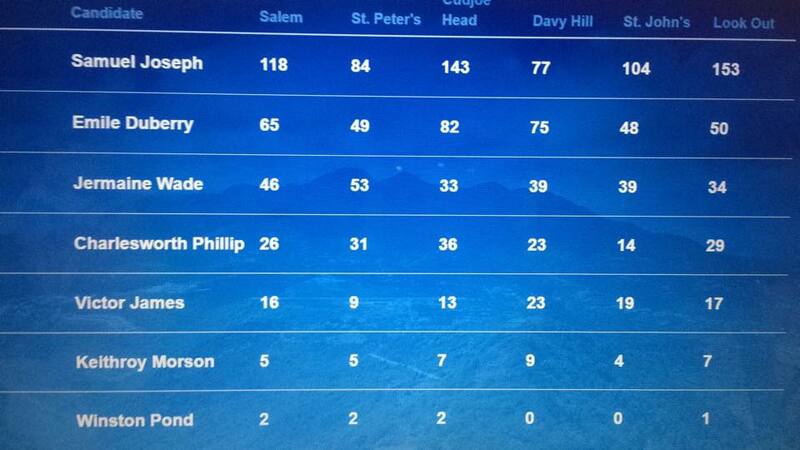 It is interesting that Dr Joseph got less votes than when he lost 2 years ago. He got the MCAP base and no more. All the other candidates got far less votes as well. 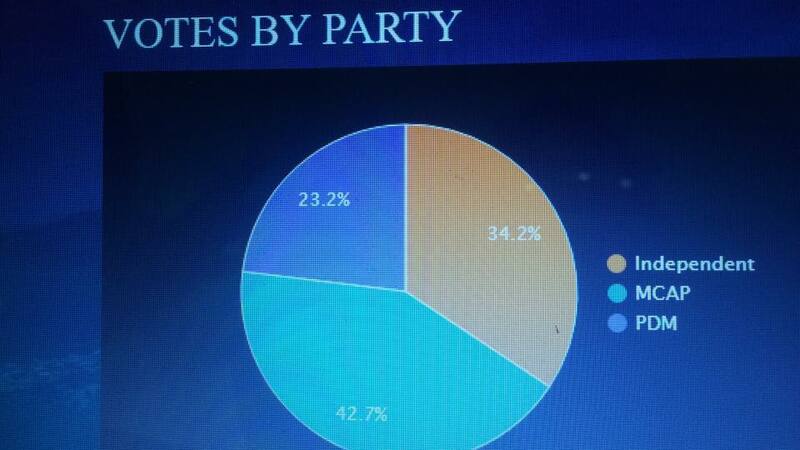 So there was no shift of the Electorate to the Opposition. Just complete lack of interest in the election. Now the reasons for this switch off by the voters is what all concerned need to address.